Sandwiches are one of the most versatile snacks, much-loved all across the world. There are no rules when it comes to making a sandwich. Just pick your favourite bread, spread a little something to moisten it and load it with whatever veggies, fruits or beans you want. Want to make it more exciting? Add some Salsa or season it with some peppy herbs and spices. Just let your imagination run wild, and make a sandwich that is perfect for you! 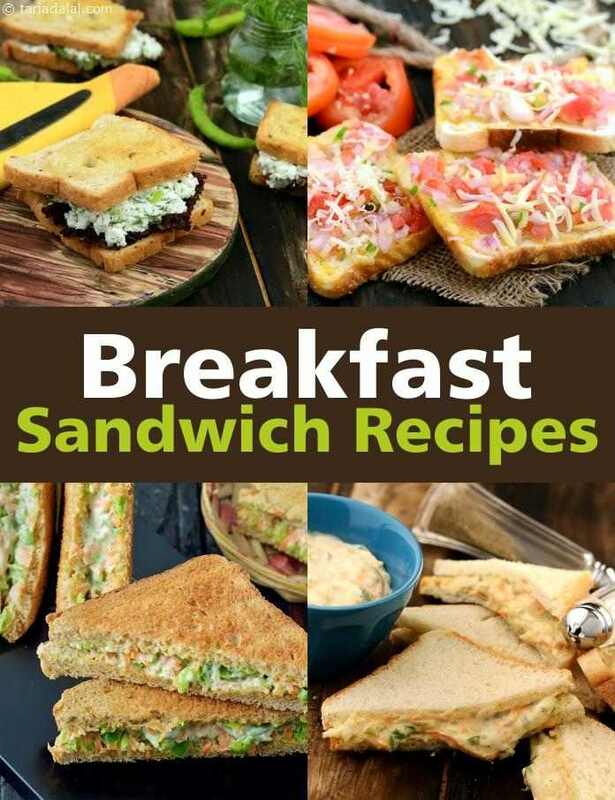 Take a look at recipes like the Alfa Sprouts, Tomatoes and Basil Sandwich, Baked Vada Pav, and Baked Bean Hot Dog Rolls, for some inspiration.. The best part is that you can wrap up these sandwiches and have them on-the-go, when you need to rush! Tarla Dalal Can you be more specific on what you want?